Fruits are a vital element of the human diet. On top of containing nutrients that are important for our bodies they can also taste nice and make us feel happy. In Uganda the early months of the year, including January and February, and this time March, can be so hot. This is when fruits are most beckoning considering the thirst and exhaustion of our bodies. Many Ugandans especially in urban areas would love to prepare themselves a fruit or fruits but this may not be possible for several reasons: The cost of a whole fruit may be quite high for an individual, the market may not be easily accessible, and finding the time to prepare a fruit may not be easy due to busy schedules. This is when commercial fruit vendors come in handy. First of all these people are so creative and strategic. 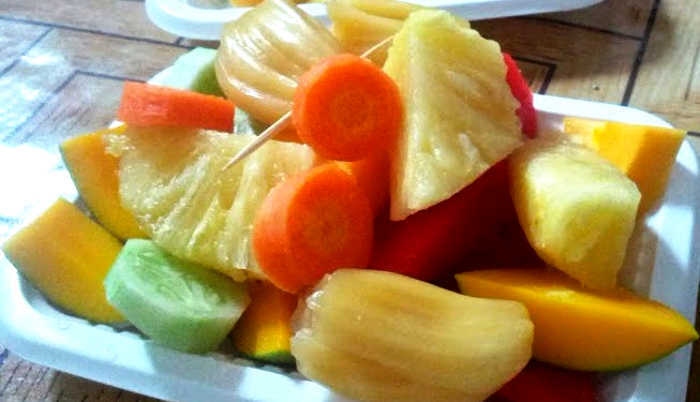 In Kampala and other urban areas in Uganda some women pack assorted fresh fruit slices in very neat salad plates, sealed with transparent foil or polythene, and sell them to shopkeepers, market vendors or in offices. In the suburbs of Kampala you find many male vendors with wooden wheel barrows selling water melons, mangoes, sugar canes, pineapples and other fruits. They park at roadsides where many people can see them. With their sharp knives they slice for you from any fruit of your choice and at the price you can afford. A slice of pineapple can go for as low as UGX 500 depending on the suburb. They also have already-packed sliced fruits in polythene bags for those who may be so much in a hurry. More unemployed youth are continuing to invest in this business due to the low capital investment and high profit potential. 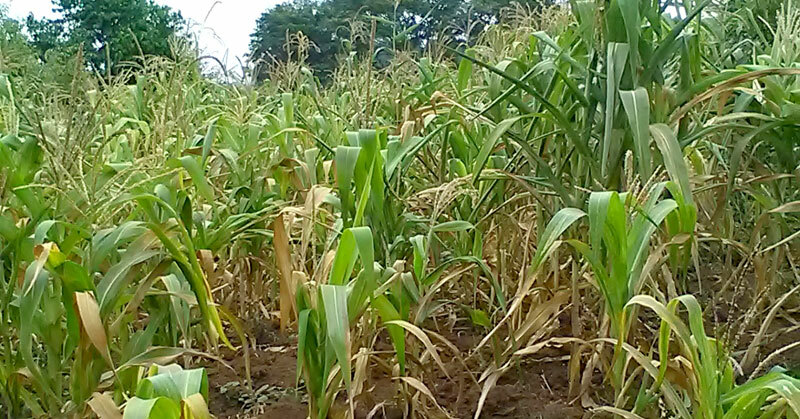 A whole sugar cane stalk, for example, costs between UGX 2000 and 3000. Each small pack of sliced and ready to consume sugar cane costs UGX 500. The profit margin can be really big. Aminah Nabadda’s office is in up market Kampala, along Dewinton Road. She has a vendor who usually delivers her packed fruits, a lady in her 40s casually known as Mama Nankya. Nabadda says she buys fruits partly because she has grown up with the perception that eating fruits is healthy but because trusts the person who serves them. Nabadda does not know where Mama Nankya prepares the fruits from. She only sees them at delivery. I ask her if she has ever thought of the possibility of eating contaminated fruits delivered to her in that way and her face freezes for a moment. Nabadda says she fully understands that eating contaminated food can cause diseases such as diarrhoea and typhoid but it has never crossed her mind that she can be a victim through eating fruits whose preparation she has no idea about. Nabadda is not alone. Many Ugandans diagnosed with typhoid for example will hardly know how they contracted it and hardly will they suspect it was from the sweet pineapple they bought on the street. Esther Nakku, who deals in auto spare parts in Ndeeba, a suburb of Kampala, has a terrible story to tell about fruits she used to buy from vendors. “I had made it a habit to eat fruits everyday but I constantly suffered stomach aches and headaches. Whenever I visited the doctor, they would tell me I heard typhoid. I later abandoned fruits and some relief from the disease,” say Nakku. “You cannot guarantee the safety of such fruits. Even the polythene bags in which the fruits are packed can cause cancer especially if exposed to heat or high temperatures. Every individual should be careful. If they stopped buying improperly handed fruits then the vendors too would automatically stop mishandling them,” Mugarura says. He says KCCA has found it very challenging to stop fruit vending in the city. “Human beings are naturally stubborn. We conduct operations but when we leave, the vendors resume their work,” he says, adding that government’s failure to ban polythene bags is also partly to blame. “Polythene bags are accessible everywhere at any time and at very cheap prices,” he says. The problem with some of the fruits such as jackfruits, passion fruits, water melons is that they are kept in very untidy places. A visit to Nakasero market where vendors sell them in bulk besides stinking organic waste illustrates how harmful bacteria and other germs can easily contaminate the food chain. The fruit whole sellers also have the habit of washing the fruits or simply pouring water on the fruits to make them look fresh, but using contaminated water.